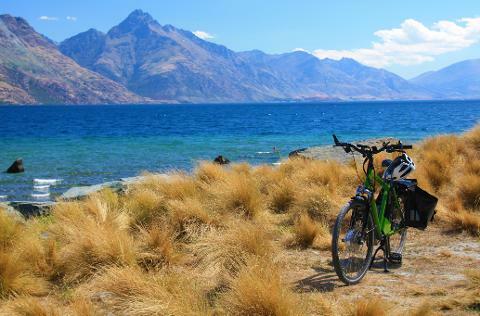 The Wakatipu Basin offers a beautiful and varied landscape, and what better way to explore all it has to offer?! The area is home to a well maintained network of cycle tracks ideal for our electric bikes. 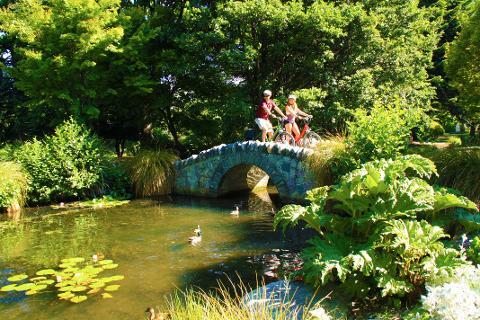 Our friendly team will transfer your party and all the necessary gear for the day to Arrowtown. This picturesque village features a variety of cafes and shops and a wealth of history. Follow the trail along the Arrow river Valley to meet the stunningly blue Kawarau River. 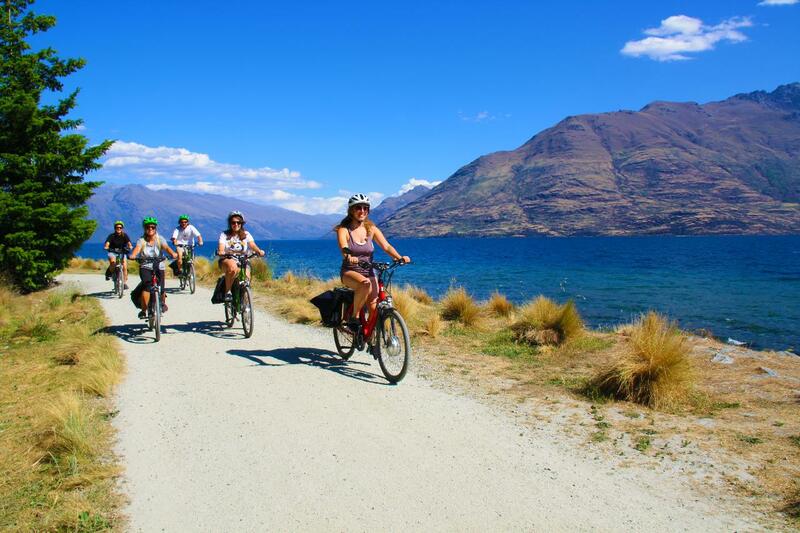 This scenic ride winds through the Valleys with beautiful mountain scenery out towards the famous Gibbston Valley- a stunning wine region. Stop on the way at the World Home of Bungy at the Kawarau Bridge to enjoy the sights- or partake yourself! When you reach the Gibbston Valley, celebrate by tasting the beautiful cheeses, and local wines and craft beers. This Valley Produces the world’s best Pinot wines, explore them at your leisure. 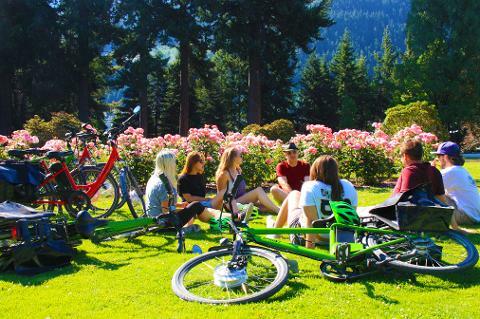 There are too many to safely drink and ride, and you’ll enjoy a transfer back to Queenstown. Do not fret about getting lost or turned around- we’ll provide you with a handy map to keep you on the right track. 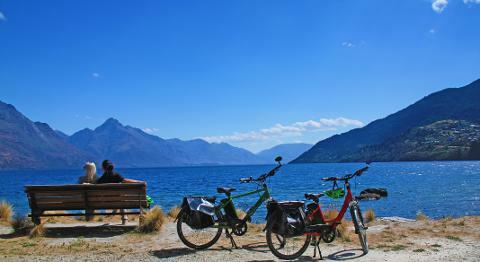 An e-bike, helmet, extra battery and transfer to Arrowtown, and transfer from Gibbston Valley are also all included.